Review: Amsterdam's Bobby Donny is a label by Steve Mensink and home to local wunderkind Frits Wentink amongst others. 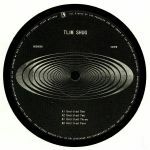 They now present Californian producer Tlim Shug (E-Beamz/Echovolt) with some lush, lo-fi house shenanigans. 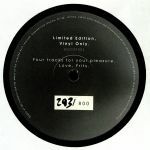 From the emotive, slo-mo deepness of "Untitled One" with its Terekke influence and VHS aesthetic throughout, the A side also features the second untitled cut - a dusty, MPC style jam reminiscent of that Berlin sound popularised by Max Graef or Glenn Astro. On the flip, feel the vibe of "Untitled Three" with its hypnotic polyrhythms that will put you in a trance.